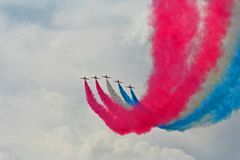 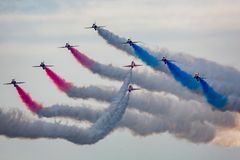 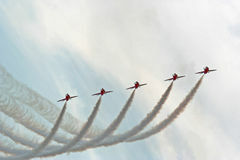 Red Arrows Air Show. 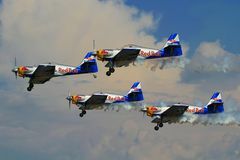 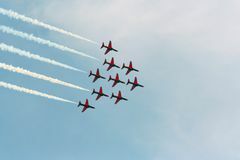 Flying, aircraft. 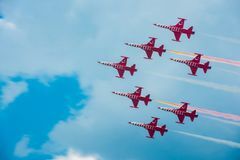 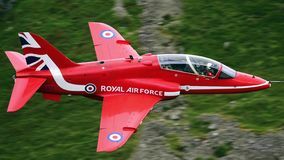 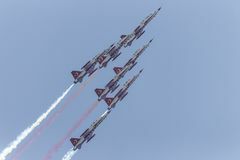 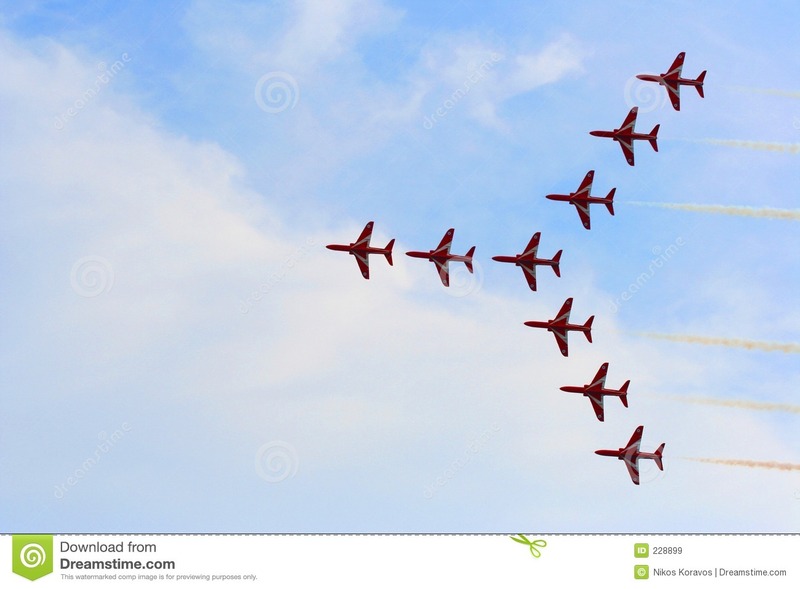 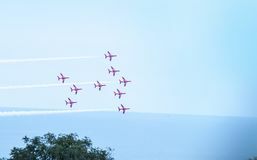 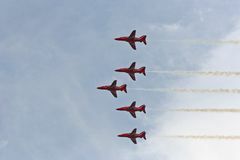 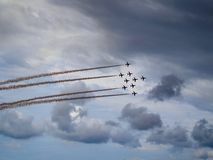 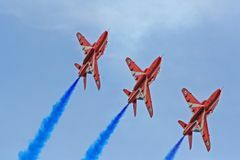 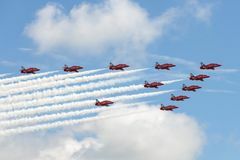 Royal Air Force RAF Red Arrows display team Hawk jet planes opposition pass Red Arrows at the Scottish Airshow 2018 The Turkish patrol BAE Systems Hawk T Mk.1 jet training aircraft Aviatic show.Planes at an aviatic show High and mighty!!! 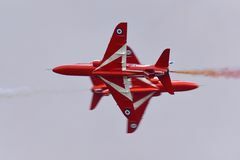 Airshow Bournemouth - RAF Red Arrows displaying Extra 300 Royal Air Force RAF Red Arrows formation aerobatic display team flying British Aerospace Hawk T.1 Jet trainer aircraft.